She must be a special little girl, only 2 yrs old! Precious little tuxxy cat. WHO AM I? 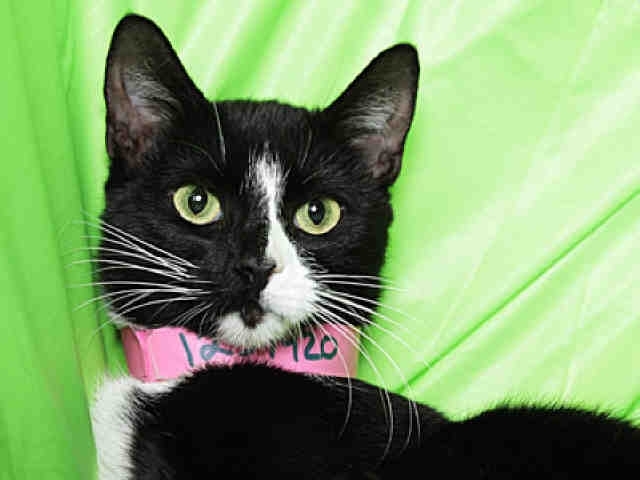 My name is Bev and I am an unaltered female, black and white Domestic Shorthair. I'm a good girl, will be a great companion. No fuss no muss - please put me in your Christmas stocking. The shelter thinks I am about 2 years and 2 months old. I weigh approximately 8 pounds. I have been at the shelter since Oct 23, 2011, a really long time.